Our team is already in Orlando and the Disney staff are prepping for YOUR arrival this weekend. Over 1,800 of our colleagues will be coming to be part of a "Right Now" experience about Learning Changes! We are thrilled that our Learning 2017 Anthem will be presented as both a song by writer and performer Val Vigoda on Sunday night. And, then as a dance choreographed by Rumi Oyama and performed with 7 of your fellow participants on Tuesday afternoon. 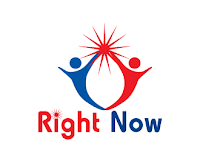 The theme, "Right Now" is also the vibe for our conversations and benchmarking next week. What can each of us do, "Right Now", to optimize the learnings for our workforces - in a changing economy and technology landscape.